Adam (Peace be upon him) was the first human being to be created. He greeted the Angels, Assalam Alaikum (May peace be upon you) and was received with a response Walaikum Salam( May peace be upon you too), there is no better way to greet a person than to first assure them that you mean no harm to them and you offer nothing but peace. And so for a Muslim who says this greeting and afterwards does not act upon it, is a hypocrite and that is a very sinful act. We will discuss it later. Then Adam (Peace be upon him) was allowed to eat whichever fruit he pleased to eat, he was clothed, he had food, he had all the pleasures he wished for, in Jannah (heaven), except for the fruit of one tree. The creation of Hawa (Eve) was for one reason because Adam (Peace be upon him) was alone, angels had other angels but Adam (Peace be upon him) was alone, he wanted company. So one day when he woke up, he saw a very similar creature to his, lying beside him. 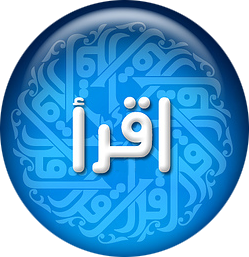 A woman was a gift to man, Hawa was a gift to Adam (Peace be upon him)!! Allah Almighty created Hawa from Adam (Peace be upon him). Adam (Peace be upon him)s spouse was created from him. Woman was created from a man, but man was created from dust. In a hadith it is also mentioned that woman was created from a man’s rib. While all this time, Iblis (Satan) was still planning against Adam (Peace be upon him). Adam (Peace be upon him) was warned by Allah, to be careful and to not commit a sin that might drift him into the path of the disbelievers. He was warned that Iblis will try to lead him out of Jannah (heaven) and make him disobey Allah Taal’ah. Iblis was very clever. 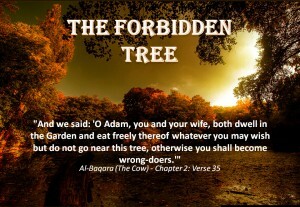 He went to Adam (Peace be upon him) and told him very cunningly that the fruit on the forbidden tree can make you immortal and will give you immense power, man as he was and still is, wanting power and immortality turned to him, this is the very first mistake you don’t turn to the devil or pay attention to him. The devil kept on persuading Adam (Peace be upon him). He forgot the promise he made to the Almighty about his abstinence to that fruit. Allah almighty did not find him resolute in his promise. He made a mistake; he did not do it intentionally. In fact our Islamic belief is no Prophet ever sinned or disobeyed knowingly, they only made mistakes. Adam (Peace be upon him) was made to make that mistake, that was his only ticket out of paradise, it was written, it was already decided!! So we do not blame Adam (Peace be upon him) for forgetting his pledge. It is a common belief is that Hawa was the one who lured Adam (Peace be upon him) to the fruit but there is no such evidence in the Quran. As they ate the fruit they started feeling ashamed and the need to clothe or cover their private parts up. They after committed the sin felt ashamed and felt the need to ask the forgiveness. So the one different thing in man was that he was able to commit sins and then repent over them.